Onlookers refused to help Anwar Ali, 18, after he was struck by a bus while cycling in Koppal, southern India, about 1,800km from the capital Delhi. Local media reports that bystanders didn’t come to his aid, instead filming him on their phones. “No-one came to his help, they were making video and clicking pictures.If someone had cared, my brother could have been saved. More than 15 to 20 minutes were wasted there,” Anwar’s brother Riaz told the Indian Express. “People should stop taking video or photos of victims to upload them to Facebook or WhatsApp and instead help victims," lamented the victim’s neighbor Hussain Pasha, also speaking with the Indian Express. Pasha also stated that Ali was the only breadwinner in his family. He is survived by two younger brothers, his sister and their mother. According to local reports, it took first responders almost 30 minutes to arrive on scene. 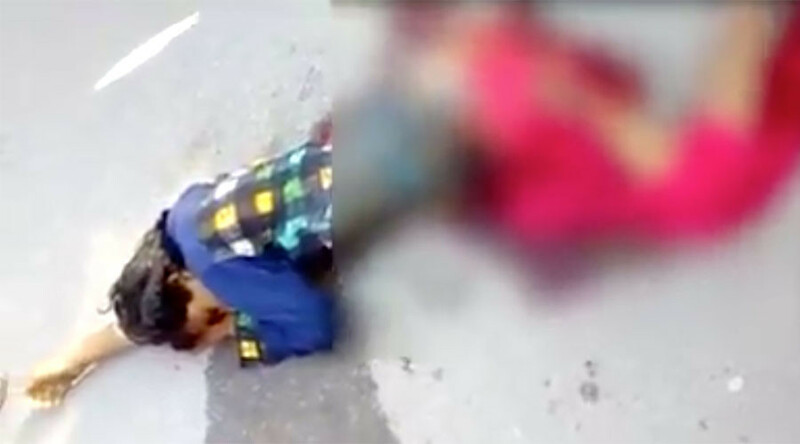 "I was shocked to find people recording the incident on their mobiles instead of shifting him to hospital… Police should educate people about the Supreme Court's rules about helping accident victims," one eyewitness, Sridhar, told the Times of India. Someone dies every 3.7 minutes on India’s roads, according to government data, as reported by Reuters. Both the local state government and the Indian Supreme Court have passed legislation protecting people who do intervene in roadside accidents but awareness of this legislation has proven insufficient, especially given the general public’s misgivings about police.